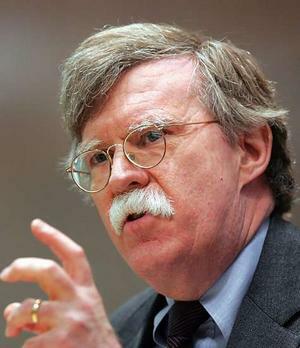 See the gallery for quotes by John Bolton. You can to use those 6 images of quotes as a desktop wallpapers. I'm a conservative Republican. I have been since I was 15 years old and participated in the 'Goldwater for President' campaign in 1964. I'm not running around the world looking for ways to create hostilities. I'm not sure history has ended. I've been in the government bureaucracy, I've practiced law, I've done a lot of different things. I've been surrounded by some of the best economic minds in the country, and hopefully I've absorbed some of that. I've never attended any Tea Party functions. If Iran obtains nuclear weapons, then almost certainly Saudi Arabia will do the same, as will Egypt, Turkey and perhaps others in the region. It's not natural disasters that are to blame for the deprivation of the North Korean people, but the failed policies of Kim Jong Il. It's very personal in its politics, very bitter and very negative. Maybe it's my libertarian philosophy: but being in government is hard. My priority is to give the United States the kind of influence it should have. North Korea is going to get away with keeping its nuclear weapons. Obviously, you make preparations before you engage in any meeting. People don't like to talk about victory and defeat anymore. People say you favor assassination, what do you think war is? Except that it's assassination on a much larger scale, a much more horrific scale. Politicians, like generals, have a tendency to fight the last war. Reform is not a one-night stand. The Nobel Peace Prize has become hopelessly politicized. I think it cheapens the prize itself. The U.N. is one of many competitors in a marketplace of global problem solving. There is no excuse for waste, fraud, and abuse in the Defense Department budget. 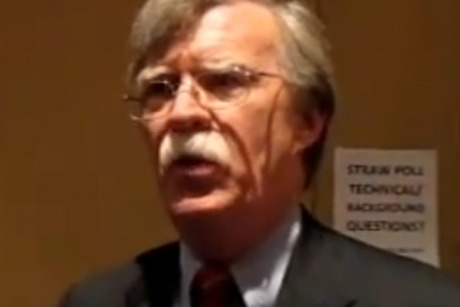 Much more quotes by John Bolton below the page. There is no such thing as the United Nations. There's no religious test under the constitution. That's what it says. Period. Well, you could take several stories off the buildings of most U.S. government agencies and we'd all probably be better for it too. You don't need to spend tens of millions of dollars on political consultants to tell you what you think when you already know what you think. I think that, especially among conservatives, there's a clear understanding that there are three legs to the conservative stool. There are the free-market economics conservatives, the social conservatives, and the national-security conservatives. 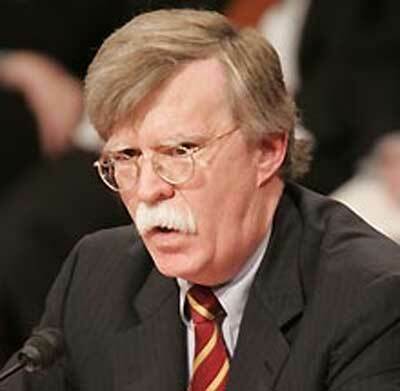 I think the International Criminal Court could be a threat to American security interests, because the prosecutor of the court has enormous discretion in going after war crimes. And the way the Statute of Rome is written, responsibility for war crimes can be taken all the way up the chain of command. I want to make sure that, not only in the Republican Party but in the body politic as a whole, people are aware of threats that remain to the United States. I'm obviously aware that people are quite focused on the economy rather than foreign policy issues, but that is something that should and can be altered as people see the nature of the threats around the world that we face. 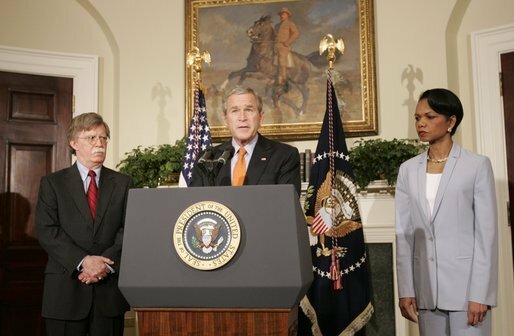 I've been subject to how many security clearance procedures and I must say as irritating as some people may find them I think they are absolutely essential to making sure that people who work in sensitive positions in the national security field in our government are entirely loyal to the United States. In the United States, there is a broadly shared view that the U.N. is one of many potential instruments to advance U.S. issues, and we have to decide whether a particular issue is best done through the U.N. or best done through some other mechanism. 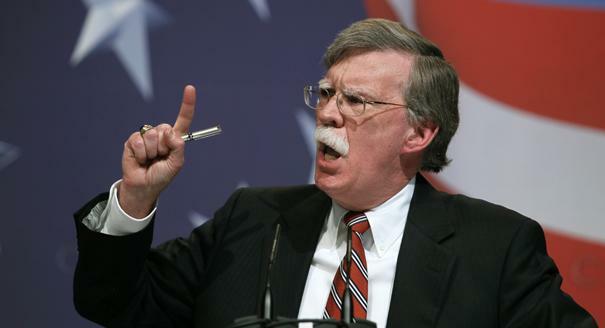 Just as the Security Council was largely irrelevant to the great struggle of the last half of the twentieth century - freedom against Communism - so too it is largely on the sidelines in our contemporary struggles against international terrorism and the proliferation of weapons of mass destruction. We estimate that once Iraq acquires fissile material - whether from a foreign source or by securing the materials to build an indigenous fissile material capability - it could fabricate a nuclear weapon within one year. When you have a regime that would be happier in the afterlife than in this life, this is not a regime that is subject to classic theories of deterrence. You know, as somebody who writes op-eds and appears on the television, I appreciate as well as anybody that... there is a limit to what that accomplishes. There's no such thing as the United Nations. If the U.N. secretary building in New York lost 10 stories, it wouldn't make a bit of difference. I haven't given up on the possibility that sweet reason will prevail. Diplomacy is not an end in itself if it does not advance U.S. interests. My philosophy is not a bean-counting, accounting 'look at this.' It is a philosophy that smaller government is better government, and government that is closer to the people is best of all. There is no patriotic obligation to help advance the career of a politician who is otherwise pursuing interests that are fundamentally antithetical to your values. That's not the call of patriotism. I don't think Hamas will be satisfied simply ruling the Gaza Strip. There's no doubt that Iran funds and supplies Hamas with weapons. Well, I'm a libertarian conservative, so I believe in limited government/maximum individual freedom. Negotiation is not a policy. It's a technique. It's something you use when it's to your advantage, and something that you don't use when it's not to your advantage. Don't get me wrong: I would love to be president. Every country has an aspect to it that rubs up people the wrong way. Everybody pursues their national interests. The only one who gets blamed for it is the United States. I am all in favour of democracy in Iraq. 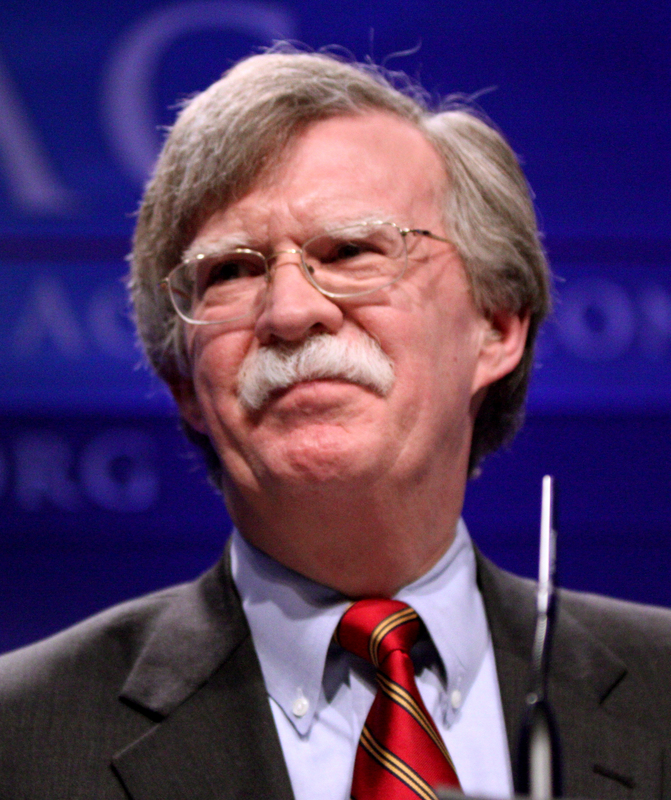 I am not a neoconservative. I don't think I would have to run a campaign that's financed like General Motors. I don't think there is any good answer to the question why shouldn't gays and lesbians who want to serve their country be allowed to do it. I have decided not to run for president. I think some of this fascination with the 'Arab Spring' is just a grand experiment with Israel's survival. I think that Ronald Reagan had it right, being against abortion except in certain limited, defined circumstances. I would not run as a one-issue candidate. Anybody who does that is declaring himself to be marginal.